The EPCglobal™-certified NephSystem Technologies N680 long range 4-Port reader is a stationary, UHF Gen 2 RFID tag reader and writer that has built-in Ethernet as well as RS232 interfaces and operates at the global 860MHz ~ 960MHz frequency. The EPCglobal™-certified NephSystem Technologies N680 long range 4-Port reader is a stationary, UHF Gen 2 RFID tag reader and writer that operates at the global 860MHz ~ 960MHz frequency bands, it provides network (RJ45 or Wi-Fi) and serial (RS-232) and USB 2.0 connectivity between tag data and enterprise system software. With its powerful Impinj R2000 RFID engine, the software adjustable power output ability as well as the capability of integrating with up to 4 antennas, N680 is able to support fast tag read/write operation with high identification rate. Based on an embedded hardware architecture and its high performance RFID engine, the built-in and versatile peripherals (e.g. relay channel, etc.) as well as the internal precise clocking system, N680 can be set as a standalone device that is able to work independently/automatically to scan RFID tags, trigger relay channels, etc. 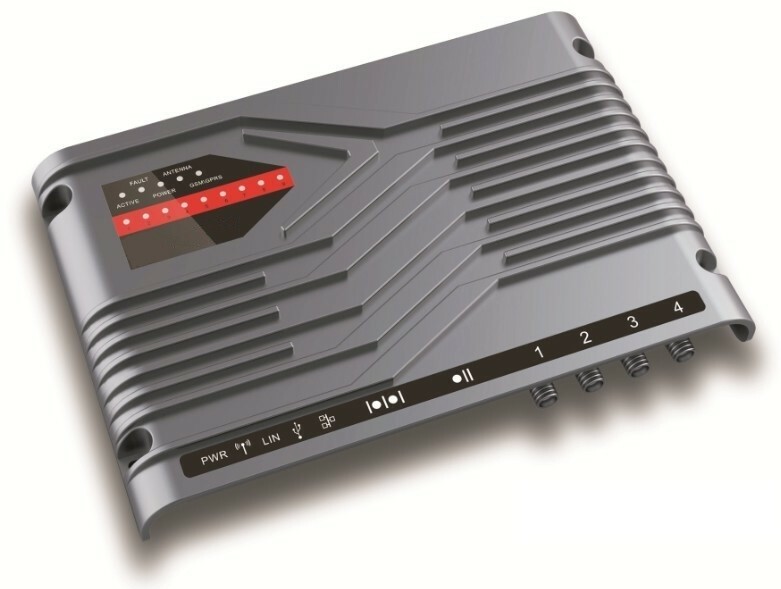 Besides regular Command Mode that responds to a host controller through API, N680 can be also configured to the Automatic Mode so that it is able to automatically output tag data over to its serial port (or through the TCP/IP network) without being controlled from a host PC, thus significantly reducing the software development workload and nearly being a plug & play device. As a result of all the above, N680 allows solution providers to customize the reader to each application, such as Personnel Tracking/Monitoring, Warehouse Management, High Value Asset Tracking, Hospital, Schools, Vehicle/Train Tracking, Parking Management, Manufacturing, Shop Floor, Toll, etc. As well as it offers users the most versatile, flexible and convenient measurement capabilities. 1. Hello, I am looking for long range RFID reader/Writer with range atleast 2 meters. My company needs to install these RFID readers in the industrial production line so that the components being produced can be identified seperately. Tell me about the available RFID reader/writers in your company which meet my requirements. 2. Hi. I would like to buy 4 antennas, one N680 Reader, and 100 tags. Can you include the shipping in the quote? How long time it takes to arrive?